SkyChem is a wholly owned subsidiary of Sky Hudson of Lakeland, FL. 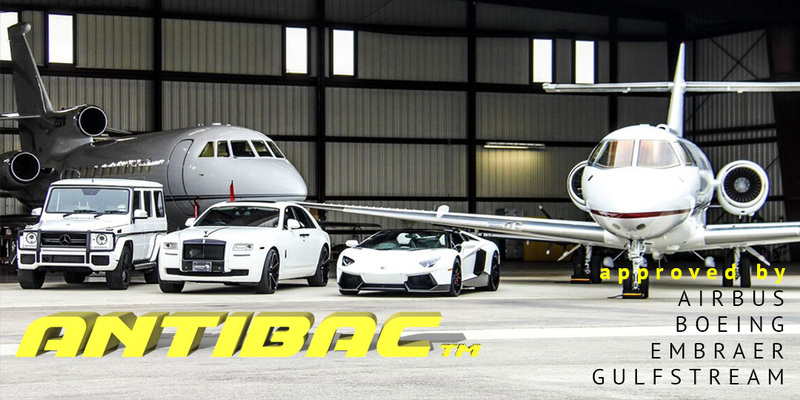 We specialized in aircraft service since 1992. Our services include cabin cleaning and disinfection of commercial and private airlines. Our expertise and experience in aircraft cleaning has enabled us to develop eco-friendly and effective aero-chemicals. SkyChem has three (3) divisions handling aviation, marine, and automotive industry. 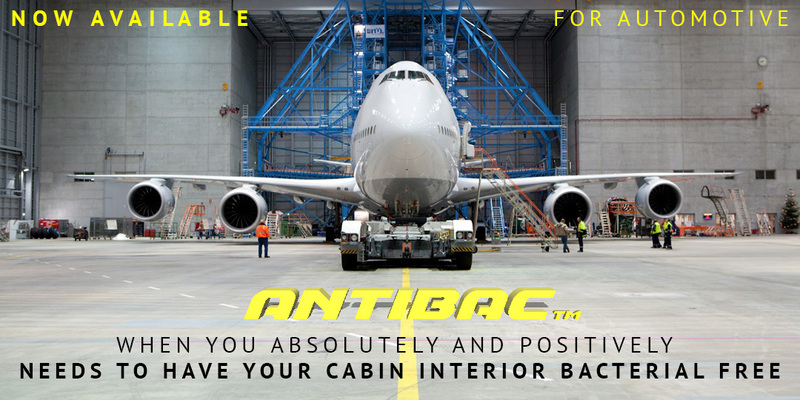 ANTIBAC® is a eco-friendly chemical designed to be used on aircraft and automotive cabins protecting your fabric interior from bacterial infestation and keeping your seats, carpets, and headliner fresh and looking new all the time. ANTIBAC® is odorless and clear. It protects fabric without altering fabric color or surface. Your seats and carpets will be hydrophobic and resistant from liquids and dirts, and not to mention will be clean and sterile from germs and pathogens.